What Motorola Radio Do I Need for Safety? Environments in which workers expose themselves to combustible vapours and dust must take precaution when using any kind of electronic equipment. This holds true for two way radios as well. Many components on radios provide the risk for creating conditions which might trigger an uncontrollable reaction or explosion. Industries like mining, petrochemical processing and refinement, laboratories, and any others which require work with volatile chemicals, fine grain dusts, or loose fibres should consider intrinsically safe radios for these environments. FM Approved – This is generally the USA standard for all industries for intrinsically safe. FM Approved radios are approved in Class Ι, ΙΙ and ΙΙΙ, Division 1, Groups C, D, E, F and G & Class Ι, Division 2, Groups A, B, C and D.
CSA Intrinsically Safe – Is the standard for Canadian petrochemical or reactive environments. CSA IS radio are approved in Class Ι, ΙΙ and ΙΙΙ, Division 1, Groups A, B, C, D, E, F and G. The CSA intrinsically standard is more encompassing, but there is also increased cost of the radio. What does Class, Division, & Groups mean? Class l Areas in which flammable gases or vapors may be present in sufficient quantities to be explosive or ignitable. Class ll Areas made hazardous by the presence of combustible dust. Class lll Areas in which there are easily ignitable fibers or flyings present, due to the type of material being handled, stored or processed – but in which such fibers or flyings are not likely to be in suspension in the air in quantities sufficient to produce ignitable mixtures. Division 1 – Normal Situation: A hazard is present in the everyday normal production operation or during frequent repair and/or maintenance activity. Group A, B, C & D gases and vapors in Class l locations are classified into four groups, by the code A, B, C, and D. These materials are grouped according to the ignition temperature of the substance, its explosion pressure and other flammability characteristics. Groups E, F & G Combustible dust in Class ll locations are classified according to ignition temperature and the conductivity of the hazardous substance. 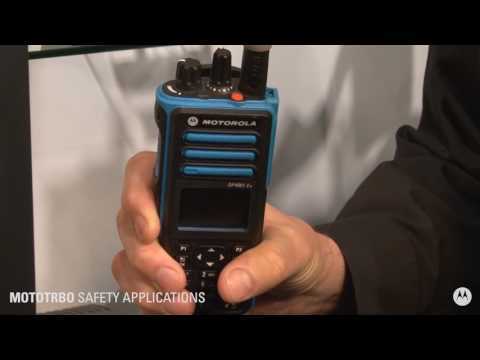 When Motorola designed the XPR 7000 Series (FM & Limited CSA Approved) and XPR 7550 I.S., they engineered and selected each component to fit the standards required by specific industries. Motorola chose everything in these radios for creating products that do not sacrifice safe user operation. The case material, case shape and design, electronic components, electrical connections, switches – all of these components provided solutions to eliminate specific hazards. The radios have a design to reduce or dissipate static discharge, prevent gases and dusts from entering and settling on electrical contacts, and work continuously so that help always stays within reach. The Motorola XPR 7000 Series and XPR 7550 I.S. digital radios meet specific standards for safety set by independent, third-party organizations which have developed their identities as being foremost authorities regarding safety conditions in the workplace. They reviewed Motorola XPR 7000 Series holds certifications for FM and Limited CSA Approval for Division I, Class I, Groups C and D, Class II, Groups E, F, and G, and Class III when ordered with the FM/CSA upgrade option and used with FM intrinsically safe battery. They reviewed Motorola XPR 7550 I.S. holds certifications from CSA for Division I, Class I, Groups A, B, C, and D, Class II, Groups E, F, and G, Class III, and Division II, Class I, Groups A, B, C, and D when paired with the NNTN8386 battery. Because of the different certifications for these radios, they share some similar applicable industries, but buyers should view them independently for where they will best match the safety requirements for users. The XPR 7000 series does not meet the qualities necessary for any petrochemical refinery or processing work, but they do provide the necessary certifications for safe use in mining, farming, textile, fishing and timber industries. This radio will likely continue to function in the harsh atmospheres that these industries demand of their equipment. It will not fail because of metal, coal, grain, or other dust in the air. It will continue to operate when exposed to cotton fibers or through heavy mist and torrential downpours, assuring that operators and workers will have access to communicate in emergency. The XPR 7550 CSA IS holds higher certifications. 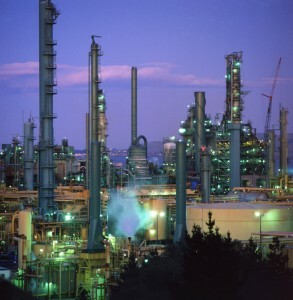 It is primed for use in enviroments that need more safety protections for working with highly volatile and combustible chemicals, like in the petrochemical industry. Workers can quickly identify the XPR 7550 CSA IS as intrinsically safe because of its blue colour, so they won’t confuse them with other radios. These radios provide excellent qualities in manufacturing and design which used engineering to meet the various safety requirements for certification. The XPR 7000 meets FM certification requirements, while the XPR 7550 CSA IS holds certification as intrinsically safe by the CSA. These radios work for many industries because they will continue to function in harsh weather and will not expose workers and operators to unsafe conditions. Spectrum Telecom Group Ltd. provides businesses and organizations with a variety of two way radio communications solutions, which include the Motorola XPR 7550 I.S. and XPR7000 digital radios. Please contact us for more information.